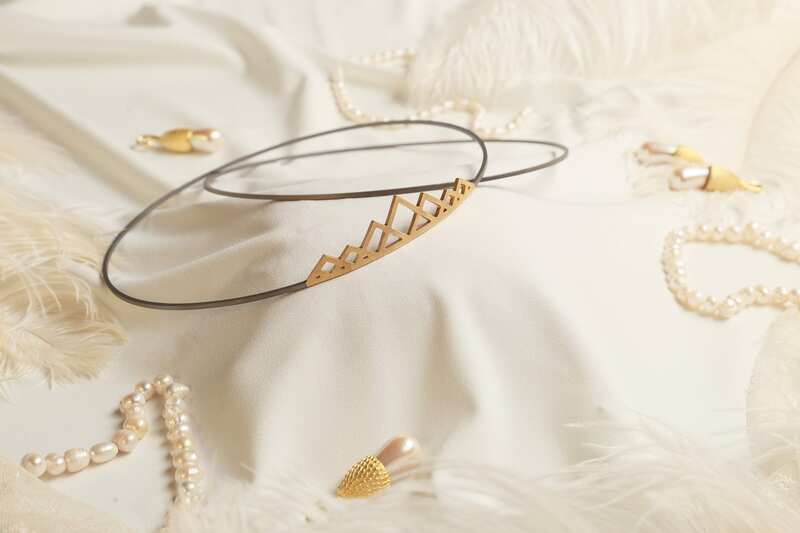 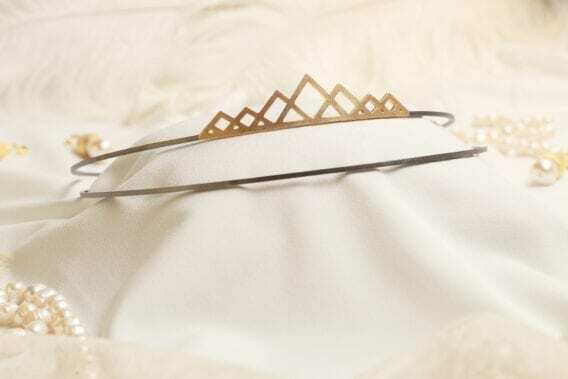 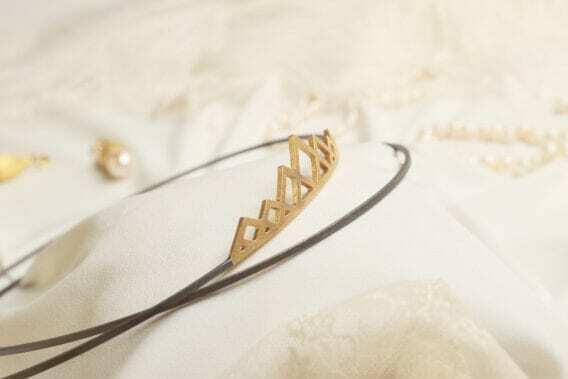 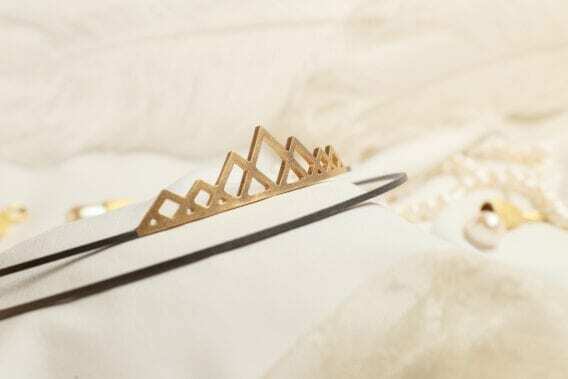 Chic wedding crowns (stefana) with a modern geometric design centerpiece on one of the crowns. 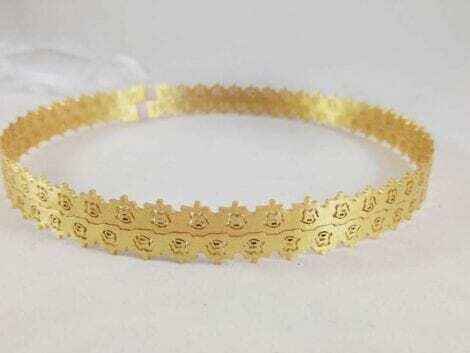 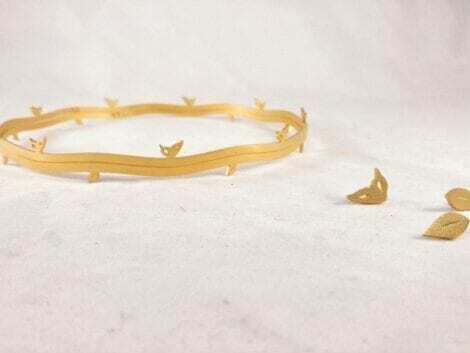 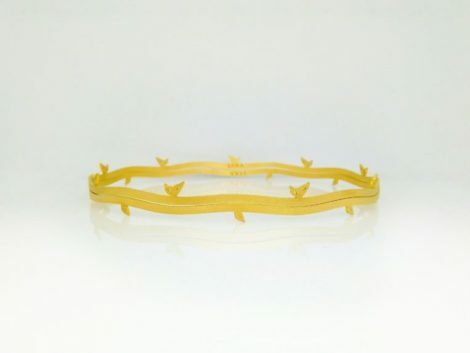 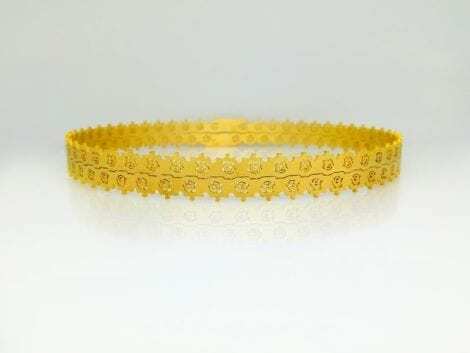 The crowns are connected with a 120cm long grosgrain ribbon. 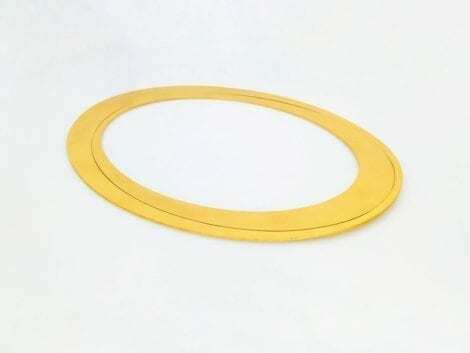 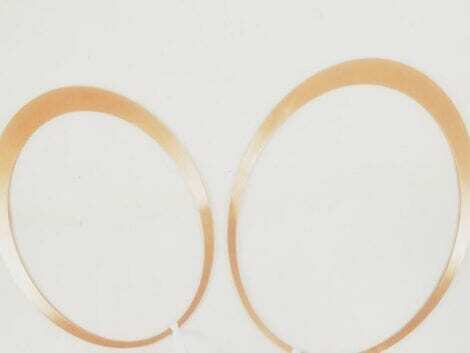 Dimensions: diameter 17cm, thickness 2cm.